This invertebrate has a base in the form of a sucker and a short, wide body. 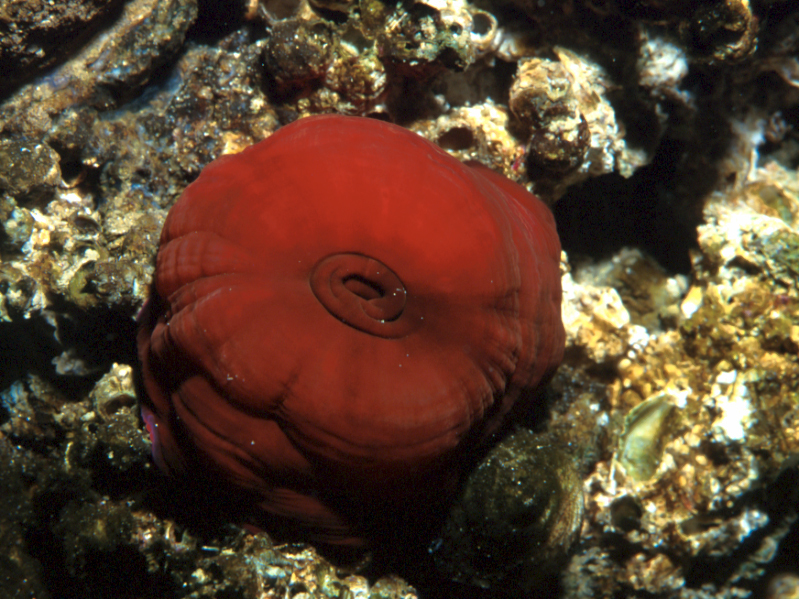 It has six crowns with almost 200 tentacles and may be red or green. 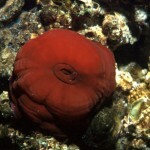 When it is out of the water, it retracts its tentacles and closes them inside its body, thus reminding us of a tomato. Its maximum size is 7.5 cm in diameter and 8 cm in height. 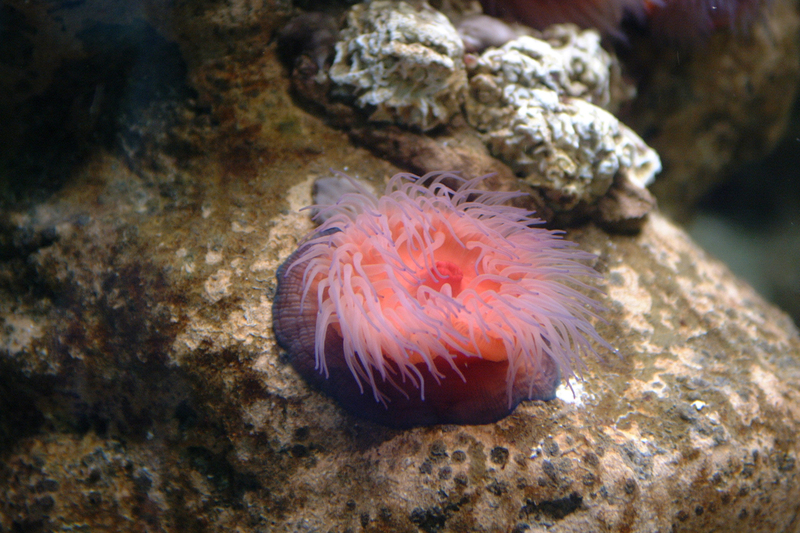 The red sea anemone is an animal of solitary behaviour. It has small blue fringe sacks, which sting and are used to drive away members of the same species when they get too close. During the day it is almost always contracted in the form of a sphere, opening when night falls. It feeds of small figh, crustaceans and molluscs and is therefore carnivorous. It has oviparous reproduction. It may launch the ovules and sperm in the water or the larvae might develop inside the mother, who finally drives the young out of her mouth. 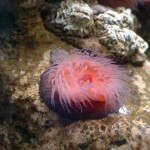 This animal is frequent on all rocky coasts from the tidal limit to 2 m in depth. It is found around the Mediterranean sea and the North Atlantic. It is an animal highly resistant to drying thanks to the water it is able to retain inside when it closes.